RainbowKids.com is pleased to announce its January/February Hope Ambassador, 9-year-old Teagan C. Partnering with the global non-profit organization Soles4Souls, Teagan has collected over 11,000 pairs of shoes for orphanages around the world. Her goal? To collect a total of 25,000 pairs of shoes. Inspired by a young lady she saw on the Disney Channel who held a shoe drive for children in orphanages, Teagan decided to organize her own shoe drive for her birthday and collect shoes instead of receiving presents. Soles4Souls is an organization dedicated to fighting the devastating impact of poverty. It collects new and gently used shoes and clothes from individuals, schools, organizations, churches, and corporate partners, then distributes those shoes and clothes to people in need both in the United States and abroad. Although Teagan’s wish is to send the shoes she collects abroad, nearly 50% of the shoes collected through Soles4Souls stay within the United States and are distributed to specific impoverished regions of the country, women’s domestic abuse shelters, inner city hospitals, summer camps for disadvantaged children, as well as being there during the crucial hours following a natural disaster. RainbowKids.com spoke with Teagan and her mom Ashley recently about her dedication to deliver shoes to those who have none. What inspired you to do this? I saw on Disney channel, a girl, she did a shoe drive for orphanages so I decided I wanted to do a shoe drive for my birthday and collect shoes for kids in orphanages instead of getting presents. Will this be an ongoing drive or is there an end date? When we hit 25,000 pairs of shoes we stop, we don’t exactly know when that will be but that is when we stop. As a parent Ashley, how have you provide support for Teagan? When we decided to take on the citywide drive to collect 25,000 pairs, I knew it would be a large task. I work full time and go to school so I don't have a ton of time on my hands, but I couldn't pass up such an amazing opportunity that I knew would teach her a valuable lesson and change the course of her life. She has always be an acutely aware child and cared for other people and wanted to help others, but I think this really opened her eyes to how many people need help in the world and I think this is just the start of her humanitarian work. I am just here to support by making the calls, answering the emails, doing the research- the things she isn't quite old enough to do. When she first told me she wanted to do this I had to research who/ where we would donate the shoes to and I came across Soles4Souls and I knew that was the right fit. I fell in love with everything about them. Earlier that year I had decided that I wanted to find an organization that I could take a humanitarian trip with and then a short time later Teagan came to me with the shoe drive idea and then I found Soles4Souls and it was as if fate had brought us together. Teagan, have you come across any challenges you have had to make adjustments? 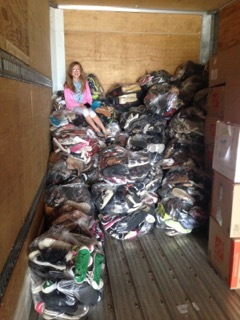 When we first started the shoe drive, we couldn’t find a storage area that would be donated to us so the shoes were just piling up in our garage, there was a lot in our garage and I took a picture of me sitting on top of all of them. 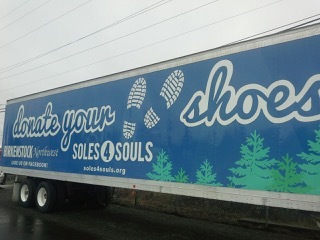 At Birkenstock (Northwest) now we have a trailer that Soles4Souls gave us to put the shoes in and it’s wrapped in paper that says shoe drive and people can see it and then drop off their shoes. Tell us about Souls4Soles. Well they sometimes go to Africa and Haiti and different countries and give shoes to kids and people who need new ones and they collect shoes. Do you know where the shoes you have collected will go? I give them to Soles4Souls and they travel to other countries and give some of them out. Would you like to travel with Souls4Soles one day on one of their trips to hand out shoes? 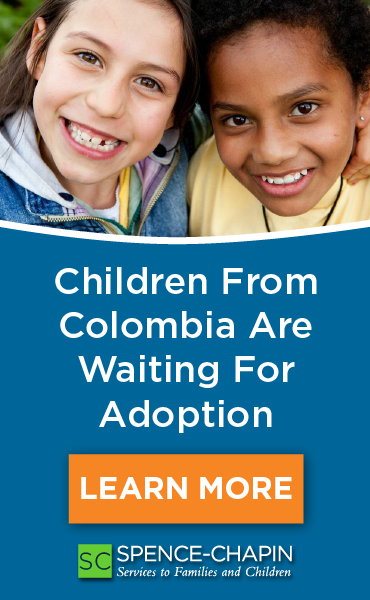 Yeah, maybe I would like to go to an orphanage and give out shoes; I would want to travel there. How do you feel when you realize the impact of your project on those who receive shoes? I feel happy and pretty excited. Ashley, what advice would you have for other parents who have children who want to give back to their community? I think as a parent we have a responsibility to teach our children to give back, even if they don't have an interest in it- once they do it they will see how good it feels and hopefully make it a part of their life. Humbling our children and ourselves is always an important life practice, recognizing that what we have is always something to be thankful for and being aware that there are others in need helps put that into perspective. There are so many different ways to give back at every age; volunteer, donate old toys, books and clothes to shelters. Get them involved in helping others, it will make them better people and the world needs more of that! Has Teagan had to sacrifice anything in order to pull this off? Teagan has sacrificed, starting with birthday presents! She gives her time to help me count and bag shoes and tie them together. Although the bags are heavy, she helps me load the car and we haul them off to our trailer at Birkenstock Northwest where she drags them to the back of the trailer. We also marched barefoot outside, holding signs for the Barefoot4Them global awareness day! When we started the drive we got off to a slow start because we couldn't find a storage place that would donate us storage space, so we used the garage for a while until the organization came to our rescue and got us the trailer and Birkenstock Northwest rushed to our rescue to give us a place to store it! So yes, as a family we have sacrificed time and money running around town and hauling the shoes to Birkenstock Northwest but this experience is beyond worth it. It has been a privilege to watch Teagan flourish throughout this process and to get to be a part of something so special with her is amazing. I know that at the age of having just turned 9 she can barely grasp the impact she is making, but as she gets older she will know she has the power to change the world and she will think, “Wow! At 8 years old I started a shoe drive and collected 25,000 pairs of shoes! I can do anything!” And that right there is a priceless gift. 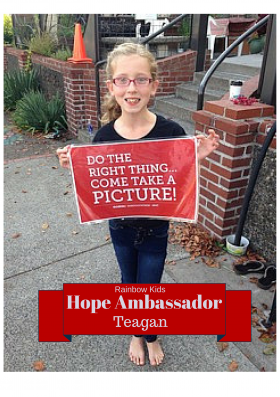 Teagan, what is the change you want to see in the world and how do you see this happening? I wish there was not as much litter as there is and I wish everyone in the world can have shoes because lots of people who live in other countries like Africa and Haiti, there is dirt and diseases on the ground and if they get a cut and the disease gets in their cut they can get sick and possibly die. What would you like to tell other young people that want to help others? They should probably help if they want to. They can do a shoe drive, clothes drive, food drive, anything. And don’t just care about yourself. It’s important to care about yourself but think about your community too because other people need help too. Check out Soles4Souls website here to learn more about what you can do to start a shoe drive in your own community and make a difference in someone's life, like Teagan! Do you know a young person who has made a difference for others? Let us know! Their project may be chosen to be featured on Hope Ambassadors.